Does Whatcom County Really Have a Water Shortage? Is there enough to satisfy the needs of fish, agricultural, cities and landowners? How big a factor is climate change? City Club welcomes Eric Hirst, presenting his technical analysis. and Hank Kastner, who will help to provide social and political context for discussion and questions. 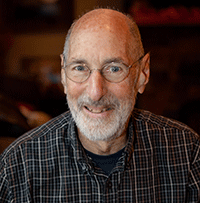 Eric Hirst has been an environmental activist since he was a graduate student in engineering at Stanford University in the mid-1960s. Most of his career as an energy policy analyst at Oak Ridge National Laboratory focused on energy efficiency. Eric moved to Bellingham 16 years ago. Since then, he served on three advisory committees for the City of Bellingham, was on the board of directors for RE Sources for Sustainable Communities from late 2010 through early 2015, and is now on the board of the Center for Environmental Law & Policy. During the past five years, Eric has focused on local water issues, reading, analyzing, meeting with all kinds of people and writing articles for local publications. Although very much an environmental advocate, Eric has reached out to those with different perspectives, especially farmers, to discuss possible solutions to our water problems. 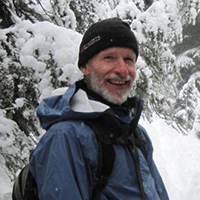 Hank Kastner is an active citizen in Bellingham; a member of the League of Women Voters of Bellingham & Whatcom County; a volunteer with the Whatcom Land Trust; co-chair of the Tenmile Clean Water Project; and has been following water issues in Whatcom County since 2013.